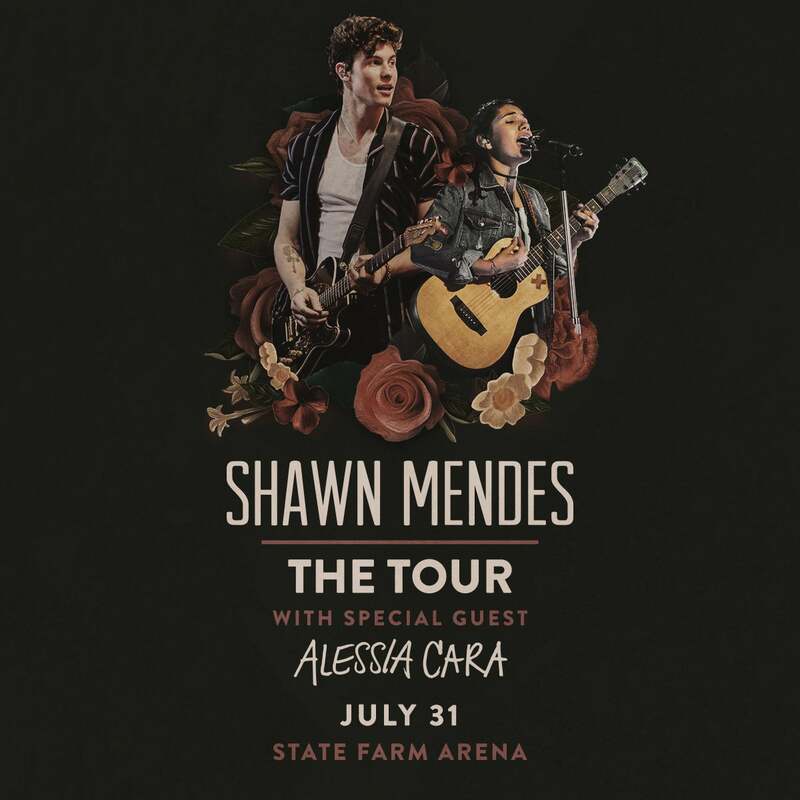 Supporting the release of his self-titled third album, multi-platinum and chart-topping singer/songwriter Shawn Mendes will hit the road in 2019 on a global arena tour. “Shawn Mendes: The Tour” will mark his third global headline tour, following his sold out 2017 arena trek, kicking off on March 7, 2019 in Europe and running through the summer with 56 dates spanning across North America, the UK and Europe, and more dates to be announced later. Tickets will go on sale for the North America and European legs of the tour this month. For all tour dates and ticket info head to http://www.shawnmendesthetour.com. Fans will have access to presale tickets & VIP via the FirstAccess & General Fan Presales, and are available to all ShawnAccess members by signing up for free through the ShawnAccess App in the App Store, Google Play or at ShawnAccess.com. For North America, fans can get a presale code by downloading the app & registering for the Ticketmaster Verified Fan® Presale before 10am ET on Friday, May 11th. Once registered and verified, a presale code for the FirstAccess & General Fan Presale will be sent by Ticketmaster before the presale begins. For the UK, fans can get presale access via the O2 Priority Pre-sale (O2 customers only), or from the Shawn Mendes Official UK Store when they preorder Shawn's new album. For Europe & all other dates, fans can get a pre-sale code within the ShawnAccess app. The FirstAccess Presale is the first chance to get presale tickets & VIP packages to the tour by simply adding a ShawnAccess Passport to your order at checkout. When you purchase a passport as part of the FirstAccess Presale, you will have priority access to the best seating locations at your show. The General Fan Presale will also be available to all ShawnAccess members, and provides members early access to tickets & VIP Packages still ahead of the Public Onsale. There is also a Merch Presale (North America only) for any purchasers of official merchandise + album bundles ordered at shop.shawnmendesofficial.com. For select dates, American Express® Card Members can purchase tickets before the general public beginning Saturday, May 12th 10AM local through Friday, May 18th 10PM local. All tickets purchased in US and Canada include a copy of Shawn Mendes' upcoming self-titled album, which will be released via Island Records on May 25th. Shawn’s highly anticipated, self-titled third album will be out on May 25th via Island Records. The album follows 2016’s double platinum Illuminate which spawned 3 Top 10 radio hits, and 2014’s Handwritten which included the 7x platinum smash #1 single “Stitches,” both of which debuted at #1 on the Billboard Top 200 Chart. “In My Blood” and “Lost In Japan,” the first two tracks off the upcoming album, released to rave reviews and received critical acclaim from outlets including Rolling Stone, Billboard, the New York Times and Variety. Both tracks have already experienced massive success, soaring to the #1 and #2 spots on the overall iTunes chart in the U.S, Top 5 on iTunes in 50 countries, and holding the #1 and #2 spots on Spotify’s “New Music Friday” playlist. The newly released third song off of the album, “Youth” featuring Khalid has already reached #1 on iTunes in the US. Additional yet-to-be-released tracks on the album include "Fallin' All In You" (co-written by Ed Sheeran), “Particular Taste” (co-written by Ryan Tedder), and "Like To Be You” featuring Julia Michaels who co-wrote the song; the song also features a guitar solo from John Mayer, who produced the track.